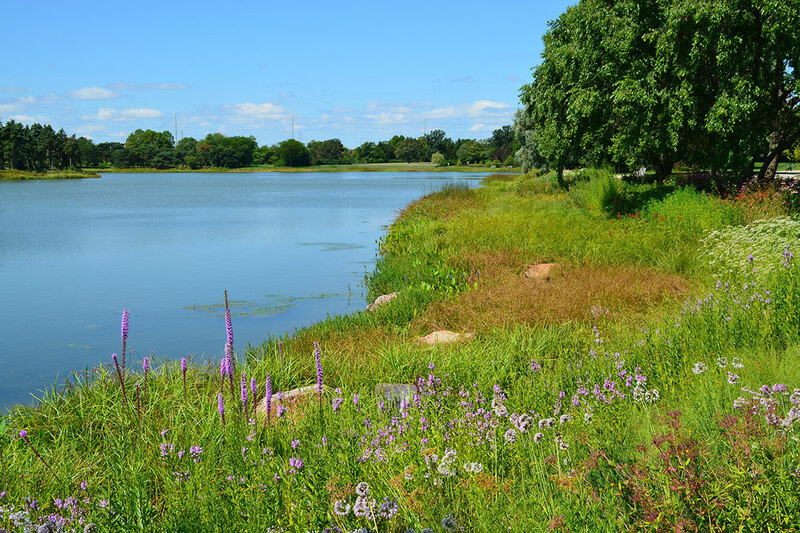 Though we often celebrate the aesthetic victories of this project, as a United States Army Core of Engineers (USACE) funded project, the work involved a strong commitment to ecological improvements in the North Lake. 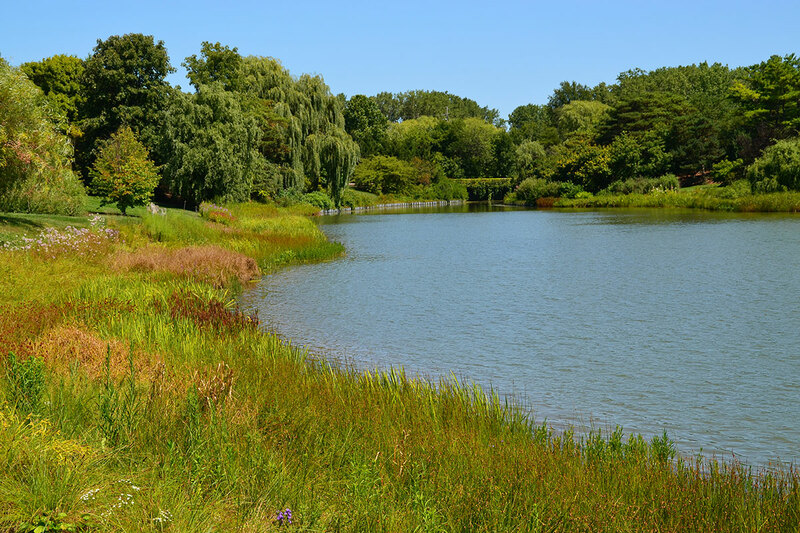 The entire perimeter of the North Lake was reconstructed and replanted, stabilizing what had become a scarred and degraded edge condition that seriously compromised water quality. 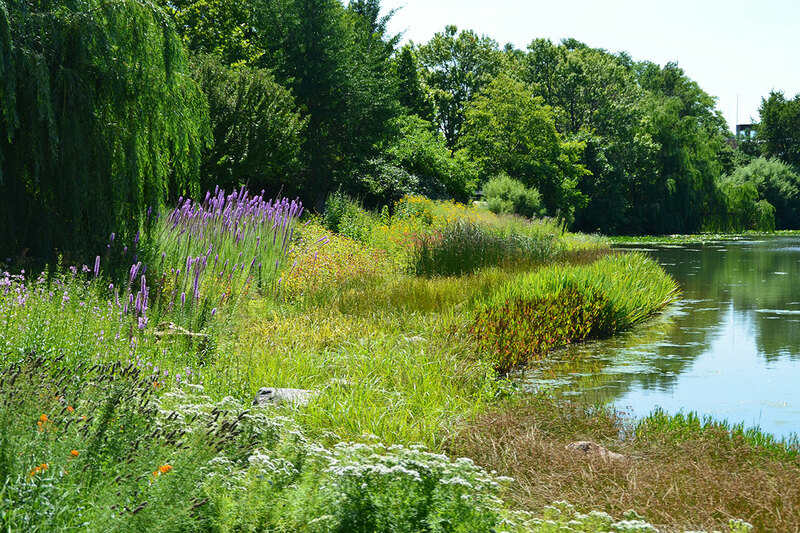 By integrating hundreds of perennial species suited to the environmental constraints, we designed a solution that is equal parts beauty and function. 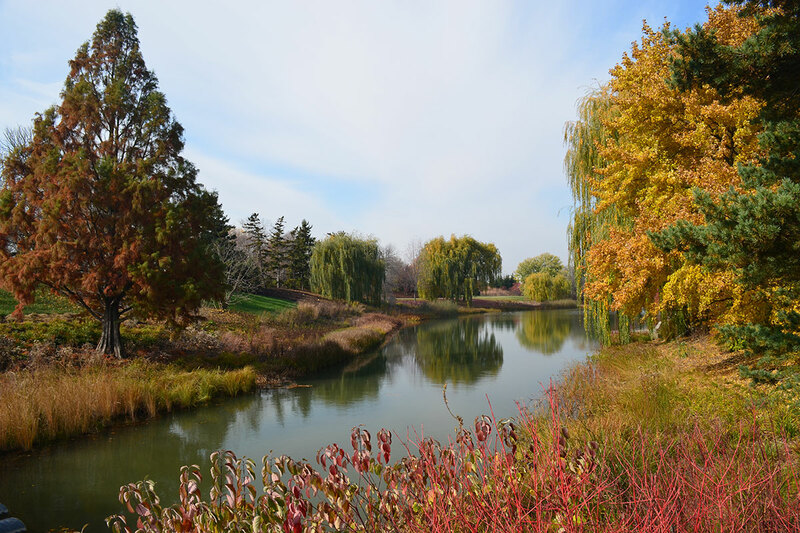 The deep rooted characteristics of the native palette served to stabilize and protect the edge conditions while promoting infiltration of water. 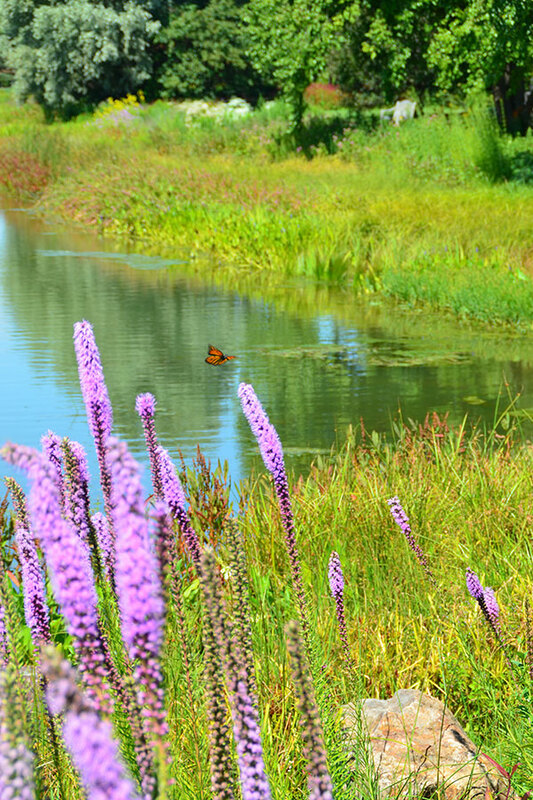 The native plants were integrated with several cutting edge structural solutions that helped to reinforce the root systems natural ability, once established, to protect the shoreline from erosion that is common at the high water level. 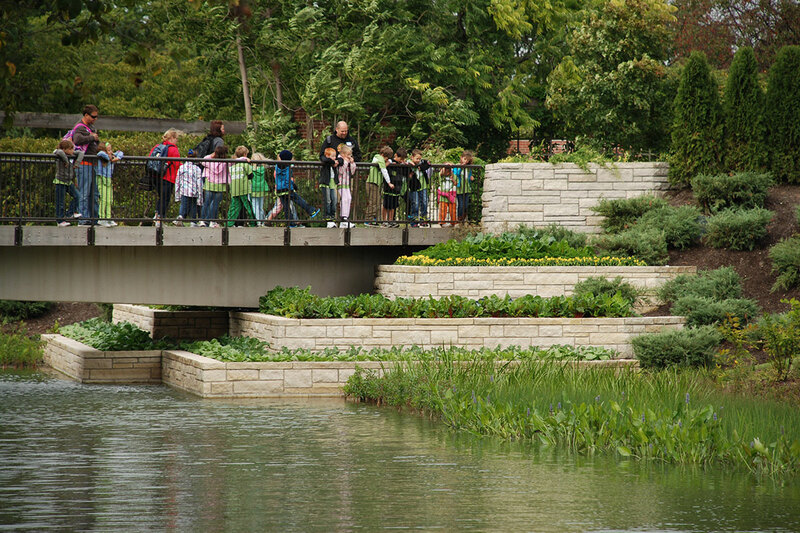 Perhaps the most significant design challenge, due to massive existing shoreline erosion and a ten foot vertical drop, was the existing bridge to the Fruit and Vegetable Garden Island. 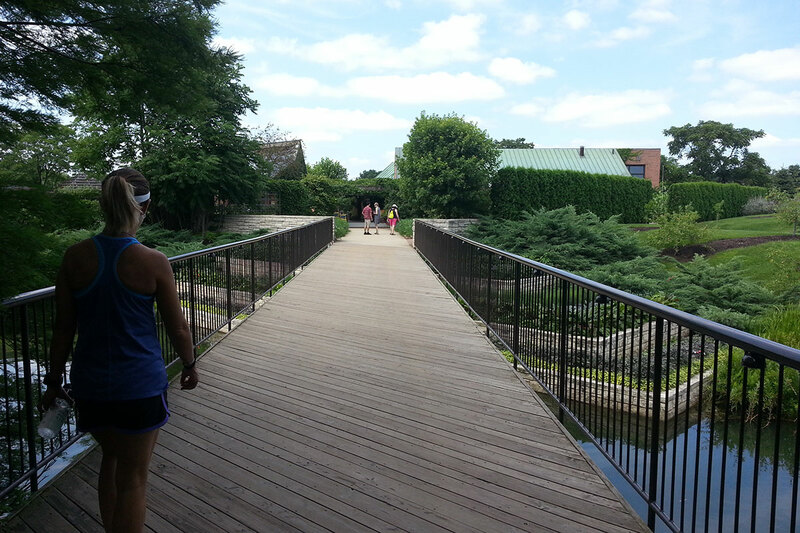 This challenge was where we developed one of our most inspired solutions for this project. 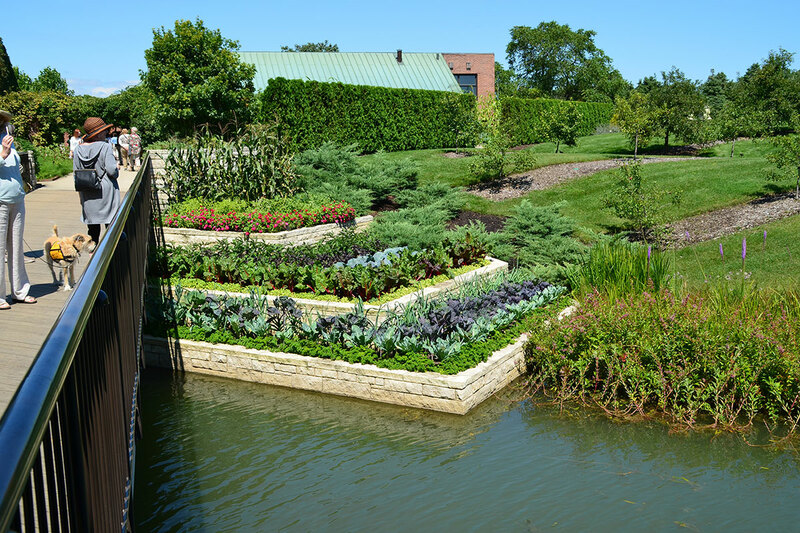 Our creation of a stepped garden not only addressed the much needed stabilization strategy, but also served to reinforce the seasonal display and rotation that are a hallmark of the Fruit and Vegetable Garden Island programming.